Kids Quest is ideal if you're on vacation - or on staycation - and in need of a fun, safe place for your kids to play while you go and reconnect. Parties Are A Piece of Cake! Any celebration is a cinch at Kids Quest or Cyber Quest Arcade! At Kids Quest we've been entertaining kids since 1992, so you know we have the whole party thing down to a science. Kids Quest provides hourly child care, kids activities, a family friendly arcade and family entertainment at the highest quality kid-friendly resorts throughout the country. A world at play and a world to its own, Mohegan Sun, created in 1996 by the Mohegan Tribe of Connecticut, is one of the world's most amazing destinations boasting three world-class casinos. Green Valley Ranch Resort, Spa, & Casino is the finest luxury hotel in Henderson, NV -- exquisite both inside and out. It is the ultimate escape from the stress of the Las Vegas strip, but with the same great amenities. Located 10 miles west of the Strip, Red Rock Resort is a four-diamond AAA-rated luxury resort that features 800 guest rooms and suites, a 25,000 square-foot spa, multiple restaurants, a spectacular pool area and much more. Sands Bethlehem is located approximately 60 minutes from Philadelphia and the northern New Jersey suburbs and 90 minutes from New York City. 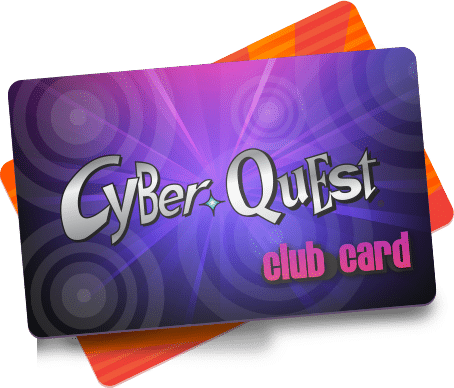 When you visit Kids Quest and Cyber Quest, you will be rewarded for your loyalty! The more you visit and play, the more benefits you receive! Come one! Come all! Circle April on the calendar for a month of circus-surprises at Kids Quest! We're back, just like warm sunshine, green grass, and flowers in bloom! This month we'll feature cheerful, tasty and colorful activities to help you spring into action this season. Sign up for our newsletter to receive the latest news, events and activities.